You can see your current license status by clicking on “!” button in the right upper corner. 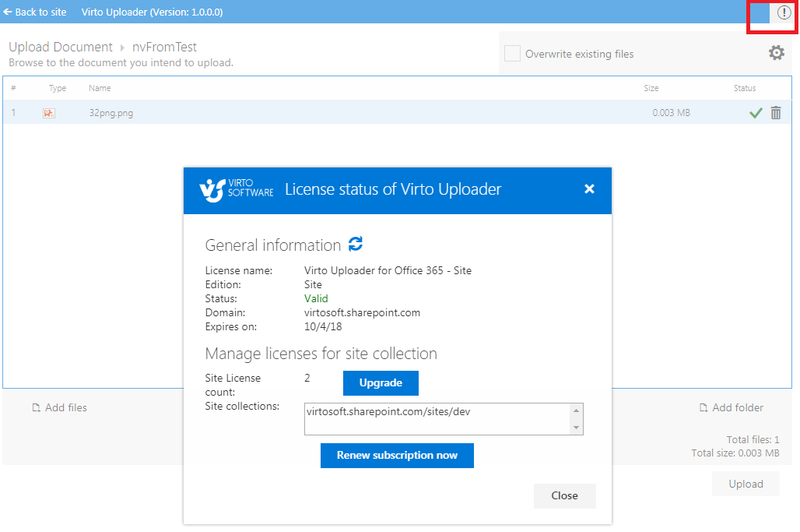 If you want to use SharePoint Bulk Files Uploader as an app, you have to add it to a SharePoint site page. Switch to Edit page mode and select “Insert” -> “Web Part” tabs, then add “File Uploader by Virto” to your page. Then you should define a library where the items will be uploaded while using this app. 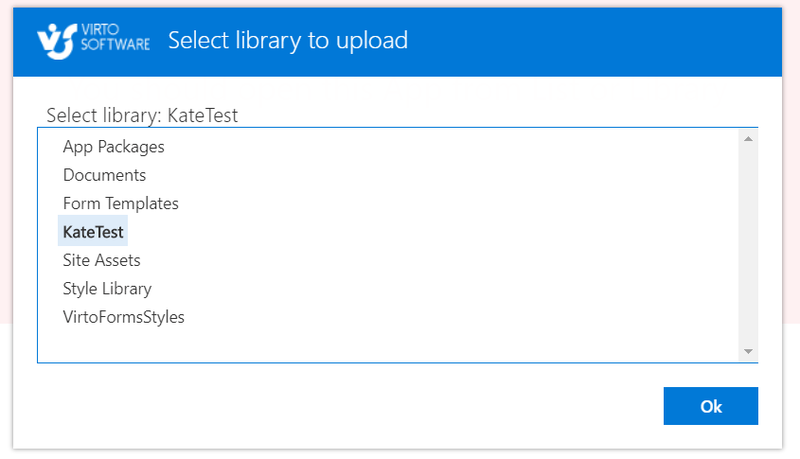 Edit app and open “File Uploader Properties” to add a document library id (guid) in empty field. Then, users using this app will upload files to selected document library. If you open “Virto Bulk Uploader” from the link on Site Contents, you have to select a library where the files will be uploaded. 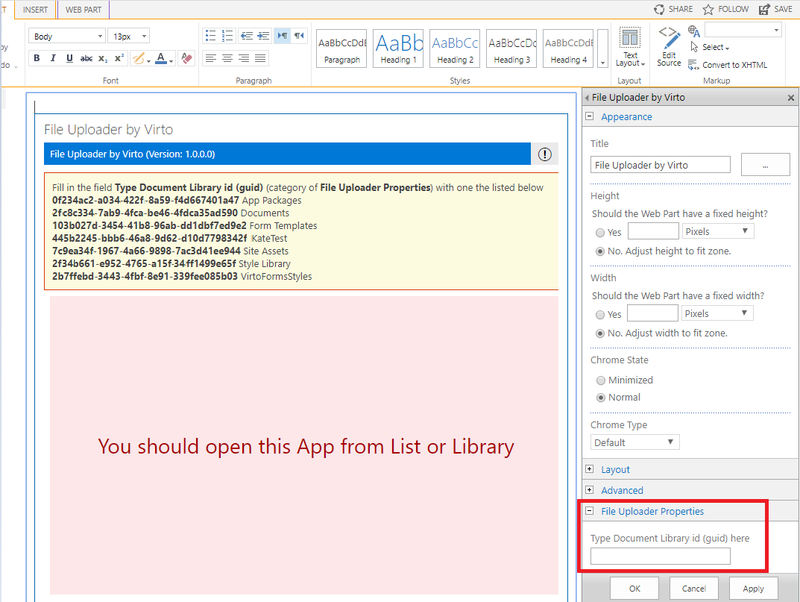 When SharePoint Bulk Files Uploader app is installed, it is automatically added to your site on the ribbon. You have to open a document library and click the icon to upload files there.